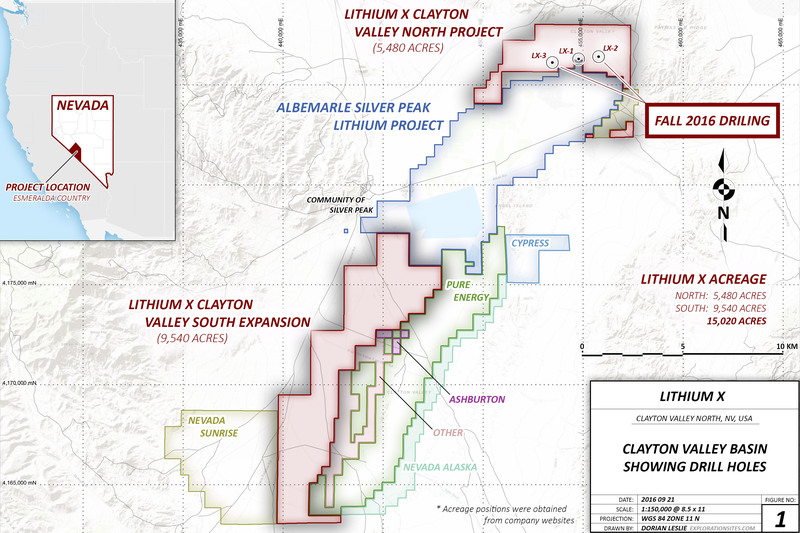 Lithium X’s Nevada interests, when combined with Pure Energy’s Clayton Valley South lithium brine project (having a 43-101 inferred mineral resource containing approximately 816,000 metric tonnes of lithium carbonate equivalent), will create a combined Clayton Valley project consisting of approximately 26,300 acres surrounding Albemarle’s Silver Peak mine. The Property is located in south-central Esmeralda County, Nevada, approximately 190 miles northwest of Las Vegas, Nevada and the same distance southeast of Reno, Nevada. Clayton Valley is an anomaly in several ways. It is in the center of lithium-enriched rocks and waters related to rhyolitic volcanism and associated hot springs that occur over hundreds of square miles. It has been an intact basin receiving fluids for millions of years, and those fluids are still at shallow depths because the valley is a stable knot in the dynamic Walker Lane and Basin and Range tectonic terrain. There are geologic arguments that lithium in this basin can be delivered via different processes to various reservoir rocks. Chemetall acquired the property in 1998 and became Chemetall Foote Corp. 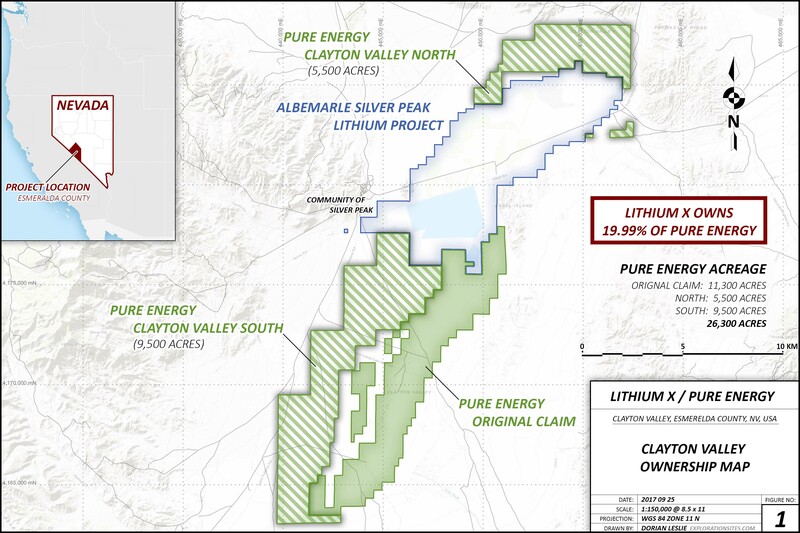 Pure Energy reports 816,000 metric tonnes of Lithium Carbonate Equivalent based on drilling two boreholes in the north section of its claims.